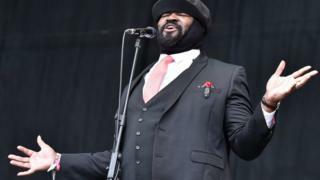 US singer Gregory Porter says the rise of white nationalism is no surprise as “we knew it was there”. In August, white supremacists marched in Virginia and last week protesters disrupted a speech made by far-right lobbyist Richard Spencer in Florida. Porter told BBC Music News LIVE: “We saw it disguised a whole bunch of different ways. The singer releases a new album of Nat King Cole covers on Friday, and has spoken of his hope that music should be used to connect people from all walks of life. “In a way it’s time for artists and thoughtful people to get to work,” he said. “It’s a serious time and I think that opposition will be reflected in the music. “People will rage against that machine but there will also be some thoughtful people who will find some craft or word to speak directly to the people who allow for this type of negative energy. Porter, who performed at the Royal Albert Hall in September, suggested one of his own recent tracks was written as a direct message to US President Donald Trump, who was criticised for what some saw as a sluggish condemnation of white nationalists who attacked protesters in Charlottesville during the summer. Porter’s comments follow on from those made by the family of late country singer Johnny Cash, who denounced a far-right protester wearing a T-shirt bearing their father’s name on the Charlottesville march. In a statement, they said they “were sickened by the association”. Nat King Cole & Me is out now.